You cannot fix pain pathways. You can only implement strategies that cause your nervous system to heal and become an observer of your own healing. The harder you try to “fix” pain pathways the stronger they will become. Terry is a middle-aged mother of two children who I met about seven years ago. For reasons that are unclear her spine just tipped forward in her lumbar area. She came into my office severely bent forward and tipped to the left side. She had understandably developed chronic pain and on top of years of disruptive anxiety. Her medications included 900 mg of oxycodone and 160 mg of Oxycontin per day. She would come in every two weeks and we would have the worst time getting her prescriptions filled at that dose. We worked for almost six months on getting her meds somewhat stabilized. I had just begun working with the DOCC project and there was a lot I did not understand. She worked on the negative writing, sleep, and David Burn’s book “Feeling Good”. Her coping skills improved as well as her pain. She then underwent about nine hours of surgery through her abdomen and back. I fused her from the second lumbar vertebra to her pelvis and she was able to stand up completely straight. With a combination of physical therapy, working with a counselor, staying with the basic DOCC concepts, and generalized conditioning her pain improved and I was able to wean her down to 60 mg per day of Oxycodone. But I could not get her off of it. Her anxiety remained fairly high. She continued to work with a counselor and pain specialist to wean her off narcotics but she could never come off of them. About three years ago she decided to attend the Hoffman process, which is an eight-day, in-house, intense somatic workshop. Through a combination of writing, visualization, mindfulness, music, and art the process creates a major shift in your nervous system out of anxiety-driven anger. 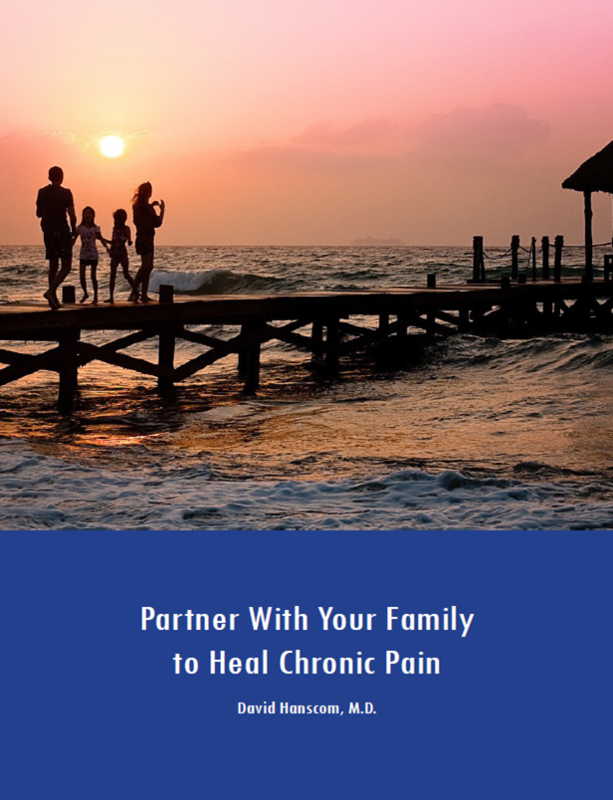 She had a good experience with marked improvement in her both pain and anxiety. But they still persisted. I lost track of her for a couple of years. She continued to work with my friends at the University pain center as well as with a psychologist. She returned to me about a year ago and her spine had “fallen over” again above the prior fusion. Her pain was moderate and her meds remained stable at around the 60 mg of Oxycodone per day. Determined not to have more surgery she worked very hard with physical therapy. Her anxiety continued to be quite significant. It became clear about six months ago that we were going to have to do the surgery to straighten her spine. We both decided that she would re-engage in the DOCC project concepts before surgery as post-op pain is much less with a “calmed down” nervous system. She also continued to see her pain psychologist regularly. She came in this week transformed. She was beaming. Something had changed and her lifelong anxiety all but disappeared. She had felt it leave over a matter of hours. It had occurred a couple of months ago and she was still feeling great. She still had pain and was bent over to the right – quite severely. It just was not bothering her much and she was having the best time being with her family and not being strangled by anxiety. She put her hands to her throat and released them several times trying to demonstrate what she could not put into words. I was overwhelmed. I had assumed that her anxiety was something that was just not solvable and my focus was on keeping her functioning in spite of the pain and deformity. I had given up but she had not. She could not explain what specific factors made the difference. She was finally able to talk to her psychologist about the adversity she had experienced with the nursing staff after her first major spine operation. That seemed to help. She was also using the verbal version of expressing her negative thoughts. Dr. Wegner in 1987 pointed out that just saying disruptive thoughts is an effective alternative to writing them down and throwing them away. David Burns in his book, Feeling Good, recommends a similar exercise where you stand in front of a mirror and express the thoughts you have about yourself to the person in the mirror. I personally have found that experience both effective and disconcerting. You would never talk to another human being like you talk to yourself. We had the best talk for half an hour and I “showed her off” to my staff. She even looked 10 years younger. She will still require the major fusion to correct the deformity but her post-op pain will be less with a quicker rehab. Most patients that experience relief of their pain have it occur within a few months. Changes usually begin to occur within a few weeks. 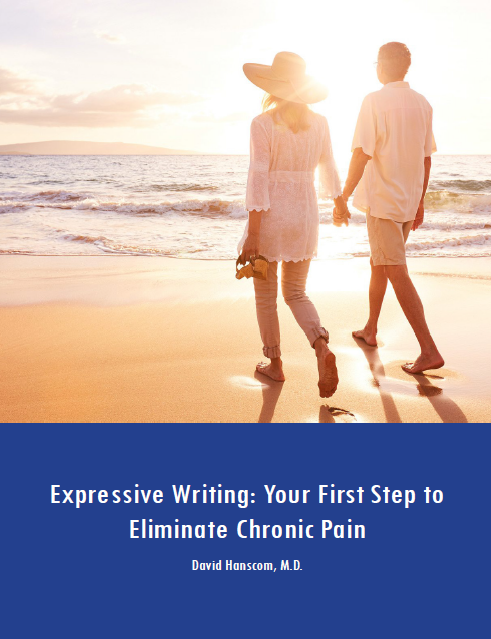 I have had several other patients I have “given up” on email me a year or two later relating how their pain markedly decreased or essentially disappeared. The answer to chronic pain is that there is not one answer. All aspects of pain must be addressed simultaneously. There is never one “fix” and that includes surgery. The neurological pathways always win. Just stay in the game. Keep using the tools that work for you and let yourself heal. DON’T GIVE UP – EVER! !